My name is Sue Ford, I live in Tadworth, Surrey and have been breeding pet guinea pigs for about 30 years. 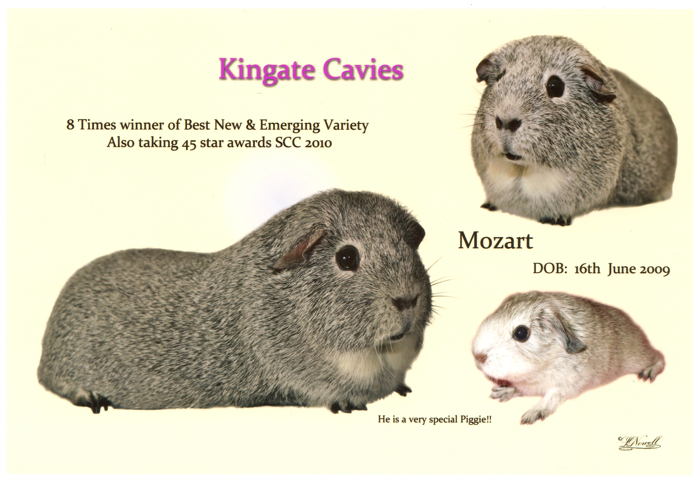 I decided to make up this website to put together all my guinea pig information and photos, and also to add information about my recent breeds and what I wish to breed in the future. 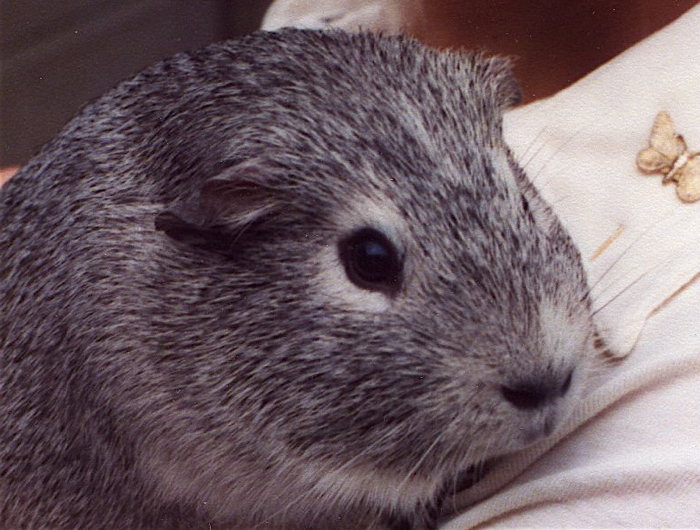 Here is a picture of my pet guinea pig taken in 1979. He was a Silver Chinchilla called Smokey Joe and was a lovely gentle boar. I am still going to breed and show a few dalmation pets, but I am mostly now going to concentrate on breeding and showing the Chinchillas in the 'Guide Standard' section, with obviously the future outcome of them moving up to a 'Full Standard' in a few years time. Also breeding a few Californians! The majority of the photographs on this site have been kindly provided by Lyndon Nowell and Sue Ford. Please do not copy any of these images without their permission.